Dr. KAM NG, Ph.D., P.E. Acoustical Solutions, a leading supplier of acoustical products, is pleased to announce the appointment of Dr. Kam Ng to the position of Vice President Engineering – Industrial Noise Control. 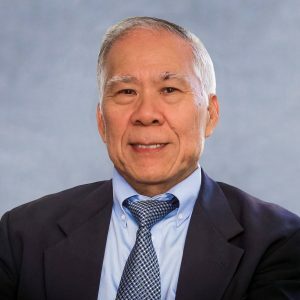 In this new role, Dr. Ng will focus on serving the needs of customers requiring acoustical engineering consulting services to solve noise control issues. “Dr. Ng has more than 40 years of experience working in the field of acoustics in varying capacities. We are excited to bring his expertise to our company for the benefit of our customers,” said Joe Nieman, President of Acoustical Solutions. Dr. Ng’s career has included stints in academia, the public sector, and the private sector. Most recently he was a professor at ECPI University teaching undergraduate electronics engineering courses. Prior to that he was CEO of Louisiana Immersive Technologies Enterprise (LITE). LITE is a non-profit technology R&D organization located on the campus of University of Louisiana in Lafayette. Prior to that he was Business Development Director for Noise Control Engineering LLC. He spent the bulk of his career working in the DoD. His final role was Deputy Director of Research for the Office of Naval Research (ONR). In this role, Kam was responsible for setting research priorities and allocating the $900M ONR budget for basic and applied research among 6 ONR departments and the Naval Research Laboratory. Ng received his Ph.D. in mechanical engineering and applied mechanics from the University of Rhode Island in 1988. He also received an MBA from Marymount University in 2005 and completed the Senior Executive Fellowship Program from the Kennedy School of Government at Harvard University in 2002, and the Senior Executive Program at the Federal Executive Institute in 2004. He has been granted 8 patents and had numerous research papers published in peer reviewed journals. He is a licensed Professional Engineer registered in the state of Virginia. More information on Acoustical Engineering and Consulting.